What is a Big Buck’s “Core Area”? Last week we talked about shed hunting and how important it can be to locating a mature buck. If you find a good set of anlters, you know the buck has survived the hunting season. Where you find a bucks shed antlers can also give you a starting point to figuring out his home range. Once season ends, hunters should hit the woods searching for sign left behind by a giant buck. Shed hunting is my first step in locating a big old dominant buck to hunt, my second step will be trying to locate his core area. I honestly believe that a hunter can increase his odds tremendously if he will burn a little shoe leather in the off season locating a bucks core area. This week we will discuss what a core area is, where to look, what to look for and why its important to find these spots. [Read more…] about What is a Big Buck’s “Core Area”? 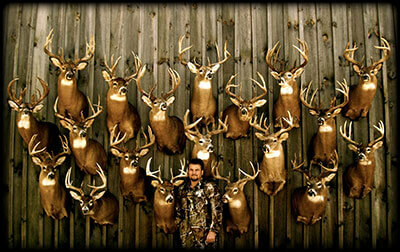 The mature whitetail is an amazing creature and may very well be the most sought after trophy in North America. The whitetail deer can see, hear and smell better than any animal in the woods and once a buck reaches maturity, he is a master at the game of survival. A big buck is a different creature than other deer in the woods and his ability to evade danger demands respect, the hunter must approach this chase differently than the rest. A mature buck lives a separate life from others in the deer woods, he is a rare and unique creature and has learned to survive by making very few mistakes. Over the years, giant whitetails develop a sixth sense…an unseen and unexplainable defense mechanism that seems to detect danger when its close…making them an even more difficult animal to harvest. Monster Bucks, what does it take? What’s the key to harvesting Monster Bucks consistently? It would have to be finding them, right? It doesn’t matter if you are the best bowhunter on earth and you can hit a paper plate consistently at 100 yards on every shot, if he doesn’t live where you hunt you won’t kill him! There’s an argument for scouting too, you can’t shoot a giant year in and year out unless you put your time in and burn up some shoe leather figuring out what they do and how they do it! What about the element of surprise? Could the key to wrapping your tag around a giant rack every fall be a stealthy, secretive hunting strategy where the buck your after never knew you were there? It’s tough to decide what’s most important when it comes to hunting Dominant Bucks. My success has come from paying strict attention to detail, and all the tactics above have played a huge role in my sucess. I’ve always believed that the more I can do to “stack the deck” in my favor would have to increase my chances on harvesting giant bucks. It seems like in this day and age, everybody is looking for that one thing that will bring them success overnight, that one magic lure, that one product that will make them virtually scent free, or some gimmick that will bring the bucks running. I don’t believe such a product exists, and you get out of it what you put in, it takes a lot of work, but man is the reward worth it! 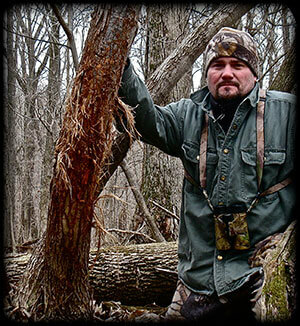 [Read more…] about Monster Bucks, what does it take?